Provide comfort for the family of Connie Ness with a meaningful gesture of sympathy. 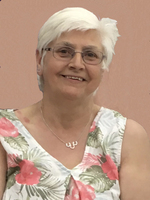 Mrs. Connie Ness of the Bowden, Alberta area passed away at the University Hospital of Alberta in Edmonton on April 9, 2019 at the age of 58 years. Connie was born in Olds, Alberta to Lawrence and Dorothy Whitelock on July 25, 1960 and was raised in the Bowden area where she lived all her life. 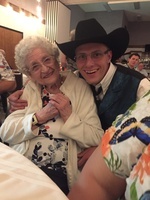 Connie was very well known in the community as she supported the Cottonwood AG Society, the Cottonwood WI, local 4-H groups in which she took great pride in working with all of these groups. She drove school bus for several years and also worked at a greenhouse, where she found her love of lilies. 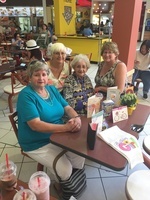 Connie will be lovingly remembered by her husband Alvin of 27 years, her two sons: Wylie (Becca) Ness of Strathmore and Tyler Ness also of Strathmore, Alberta. She will be sadly missed by the Munson and the Ness families. Connie was predeceased by her parents Lawrence and Dorothy and her brother Wayne. To send flowers in memory of Connie Lou Ness (Whitelock), please visit our Heartfelt Sympathies Store. Provide comfort for the family of Connie Lou Ness (Whitelock) by sending flowers.